August 23, 2014 ushered in a new Doctor for the well-loved series, Doctor Who as Peter Capaldi takes over the role from Matt Smith. Okay, as you know, I’m anti-spoilers here, so please email any spoiler-y comments or questions to me at ilovegeekology101@gmail.com. There are a couple of spoilers for The Day of the Doctor and The Time of the Doctor (mostly discussing 11’s regeneration scene), but I’ll put a note before the paragraph with the big spoil-y pieces of information, and it is pretty far down, and in reality, unless you have completely avoided social media you already know about this stuff. We knew going into this series that the new Doctor would be older and perhaps a little darker, and this first episode, Deep Breath, certainly enforces that. The transitional episodes have been interesting ones. My reaction to the new Doctor has always had a bit of the Doctor’s reaction when a regeneration redecorate the TARDIS, “I don’t like it.” Of course, it didn’t take long until I adjusted to the new face and form and was ready to pick up my feet and run with the new guy. I don’t think I could say that Who had become boring, but maybe a tad bit predictable. Capaldi certainly has an opportunity to breathe new life into the series and take us in a direction we haven’t been since Eccleston revived things in 2005. This time though, I didn’t feel the uncertainty of whether I would like the new Doctor, but then again, I think Capaldi’s doctor felt more like he was struggling through the memories of previous generations more than either Eccleston, Tennant or Smith. They all had their moments of settling into their new faces and bodies, but the aspects of the Doctor’s personality they embodied were quick to shine through. Capaldi’s Doctor takes longer to shrug off not just 11’s face and form but the others as well, and I think they’re playing up 11’s comment during his regeneration that he will never forget a moment of when the Doctor was me. References to a lot of previous forms of the Doctor flowed through this first episode of Season 8, and I felt that 12 had to sort through who he had been to figure out who he is going to be. He still has the wit and humor we expect from the Doctor, but there is an air of unpredictability and uncertainty after this first episode that hasn’t been there in a while. Fans know that the circumstances of the regeneration play into who comes out the other side(look at Tennant’s comments to the meta-crisis doctor who went home with Rose), and 11’s focus at the end was remembering. I have a sneaking suspicion that will impact 12’s doctor a lot. The lines on his face reflect the memories he tried so hard to hold onto when he regenerated, because a lot has happened. Seriously, how old is the Doctor now? Capaldi, as a fan of Doctor Who since childhood, has an opportunity to resurrect aspects of all the Doctors who’ve come before with this regeneration. We’ve already seen a bit of 10 & 11 for certain, and I’m not nearly as well versed in Classic Who to be certain about earlier Doctors. Possibly a little 9 snuck his way in, but I’m not sure. I know I saw a bit of Tom Baker’s 4th Doctor with the finger alongside his nose. 11 began as the Doctor who wanted to forget, as revealed in The Day of the Doctor, but went into his regeneration as the Doctor who wants to remember. That 50th anniversary episode exposed that insecure, wounded side of the Doctor, and events in that episode did quite a bit of healing. Of course, in true Doctor Who fashion, some of those were ripped open, and began to heal again in The Time of the Doctor. Really, he destroyed Gallifrey, he saved Gallifrey, the Time Lords nearly start another Time War to come back into the universe, but end up staying where they are and giving the Doctor another regeneration. All because Clara tells them “if you love him, and you should, help him.” However, he wasn’t there to hear this plea or recognize the gift was one of love, and that could be something that pops up later on. Even for the stalwart Doctor this is a lot to take in. Another thing that has been commented on is that this Doctor will be a little less empathetic, and it brings to mind Moffat and Gatiss’s other project, Sherlock. Sherlock’s brain holds a lot of information, but he has to make room by “deleting” things. Wouldn’t it be interesting to see what this Doctor has “deleted” in order to bring back all of these other memories. Somewhere, I got an idea that the Doctor read a book “Dealing with Humans 101” or something like that, and from what I’ve seen so far, it looks like maybe this is some of the information that has been pushed out or to the side to make room for the memories of his previous regenerations. This paves the way beautifully for what should be a whirlwind ride this season. As anyone who has gotten caught up memory can attest, it can be a beautiful trip down memory lane when you’re remembering the good stuff, but life ain’t all good. The Doctor’s life especially, hasn’t been, and the weight of those darker memories…well, I see a lot of ups and downs in our future, but that just comes along with being a Whovian. What do you think? Please send me your theories too! 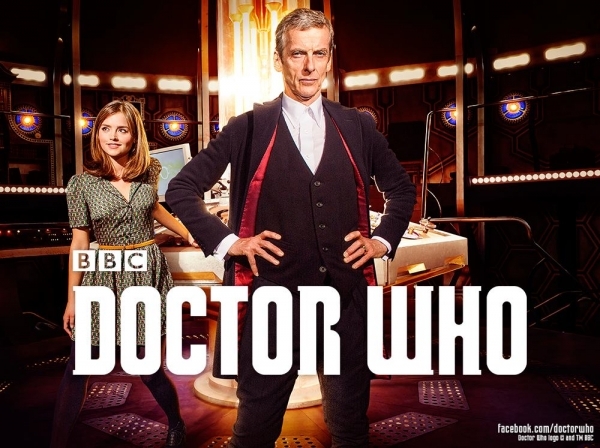 What impressions have you gotten of the new Doctor? Yesterday, the BBC released the first actual trailer for the new season of Doctor Who, premiering on August 23. So, what can we expect from Peter Capaldi’s first outing as The Doctor? Questions, Drama and Daleks, oh my! Also, apparently a t-rex. I know, like many of you, I have not-so-patiently been awaiting the return of my favorite time traveler. I have to say, I’m excited. In Day of the Doctor, we learn that the 11th Doctor is the one who forgets, who is so damaged by pain and regret that he wants to block it all out. This trailer shows us a man bent on redemption. My first impression is that he’s owning up to his past and wants to make amends. He’s lived for over 2,000 years and made a lot of mistakes and “it’s time I did something about that,” he says. When I think about this part of the trailer I think of healing, the five stages of grief and even the 12 step program for addicts, and isn’t that an interesting idea if applied to The Doctor. The Doctor asks Clara if he’s a good man, and I really want to know what’s prompting this. We saw the 10th Doctor’s struggle to determine what kind of man he was and deciding that he was “rude” and “still not ginger”. Is this more of the same? Possible, but I get the feeling that it is something more. Also, why can’t Clara answer him? What happens between the end of the 11th Doctor and this conversation that makes her question whether or not the Doctor is a good man? Fans have seen Doctors fly by the seat of their pants, making things up as they go along and generally proceeding through each crisis with little to no plan at all, but I can’t remember a Doctor who truly doubted himself. Is admitting to his mistakes putting a dent in that infamous confidence? If so what consequences could it have? One of the Doctor’s greatest weapons is his certainty that he is absolutely correct, and since in so many of his adventures the fate of the world/universe/all of time and space rest on his actions…well, if he’s not sure that could have a devastating effect. What do you think? You know if left to my own devices the theories and supposition will just get out of control.